Tragic death of the heart. An attractive gothic charm with a subtle macabre edge. 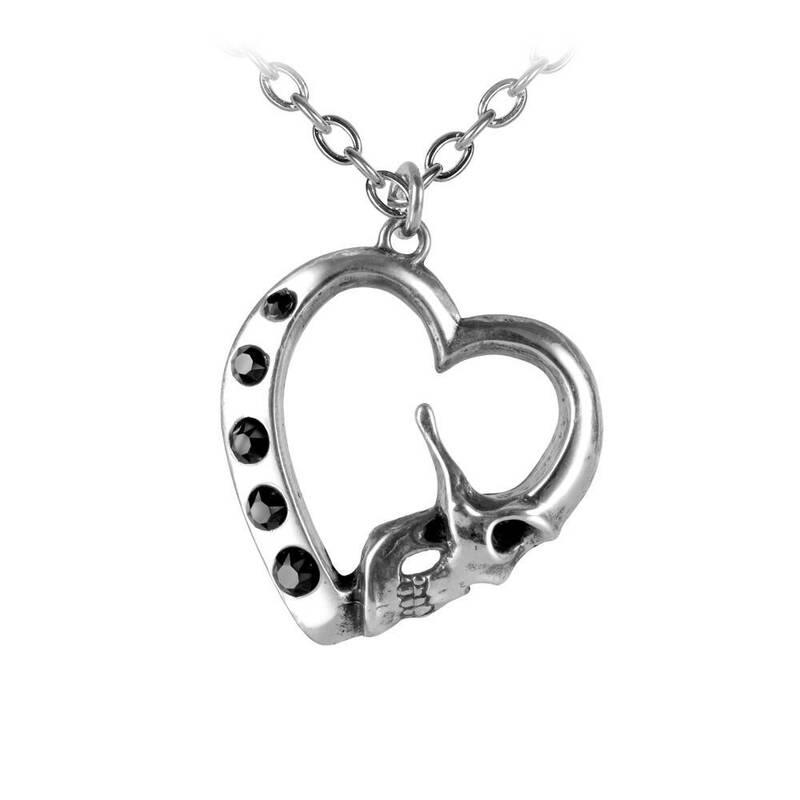 Delicate heart shaped pewter pendant with skull detail to one side and set with black Swarovski crystals the other. Width 1.3" x Height 1.5" x Depth 0.2"